How to display Syncfusion controls in grid columns? 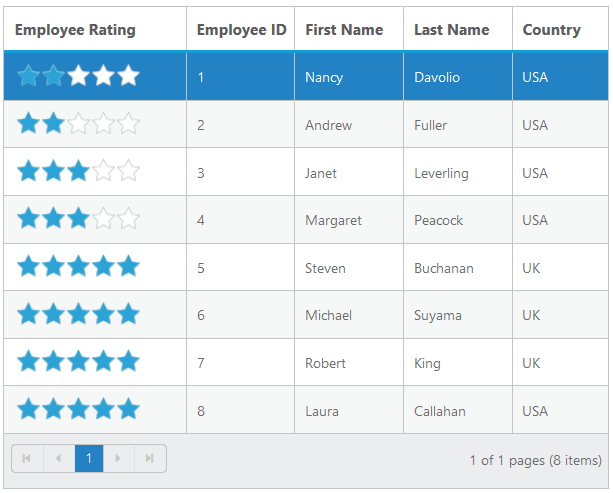 We have used JSRender conditional tag “if” to set value for Rating control based on condition. 1. Render the Grid control. 2. You can render the ejRating control in Grid column using the templateRefresh event. If ej controls are rendered in templateRefresh event then it will re-render automatically, when any grid action is performed.